Please provide your information below and we will contact you shortly. We’d like to encourage you to click “subscribe to our newsletter” to stay informed on our latest projects, SMCo news, blog updates, and more! Apple Maps has it right. Google maps has it wrong. 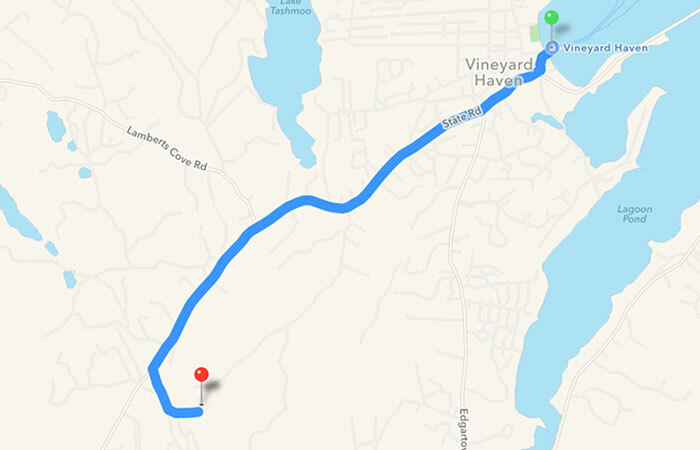 Turn left out of ferry terminal, take a right onto State Road on 5 Corners Intersection, continue on State Road into West Tisbury (2.3 miles), turn left onto Stoney Hill Road (sign for South Mountain Company), continue on Stoney Hill Road (0.30 miles), turn left onto Red Arrow Road and follow it until the end.